Ratha Saptami introduction : Veneration for the Divine is an integral part of the Indian culture / Hindu Dharma. We worship not only the superior Deities, but also the Moon, Agni (Fire), Varun and Indra like inferior Deities. These Deities hold important place in life of all living beings. The festival of ‘Ratha Saptami’ is celebrated to offer gratitude and worship the Surya-devata. 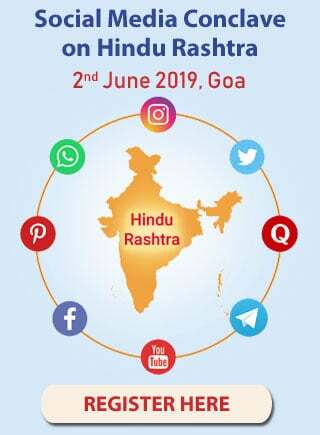 Information on ‘Ratha Saptami’ compiled by a seeker from Sanatan Sanstha, Kum. Madhura Bhosale is provided below. Amongst all numbers, number 7 has a special significance. In this no. 7, there is balance of ‘Tri-gunas (three components – Sattva/ Raja/ Tama)’ as well as a special capacity to absorb subtle waves. There is divine union of Shakti and chaitanya on the day of Saptami. On this day, the waves of principles of specific Deities and shakti, bliss and peace are 20% more active and on ‘Ratha Saptami’, subtle waves of principle of Surya Deity are 30 % more active compared to the other days. Worship of the Sun Deity has been accorded an important place in the Hindu scriptures. Worshipping Surya devata accelerates awakening of ‘Surya-naadi (right channel of spiritual energy- flow system from base of spine to top of head)’ by stopping ‘Chandra-naadi (left channel of spiritual energy flow-system. Sun-worship is superior to moon-worship. 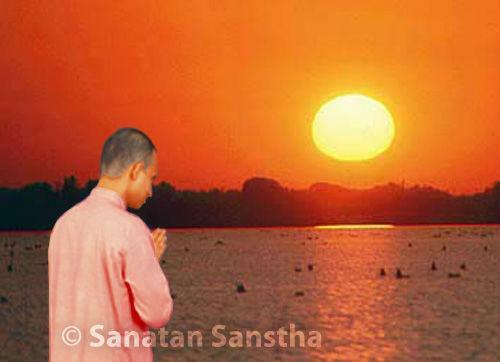 Worshipping of Deity Sun increases one’s capacity to absorb ‘Sattvikta’ and ‘Chaitanya’ by 30% and 20 % respectively. Just by offering ‘Arghya’ and having His ‘darshan’ in the morning, Surya bestows His grace. Having Surya’s darshan is a part of His worship. Doing ‘Tratak’ (staring at an object as a yogic exercise) by looking at the rising Sun increases efficiency of the eye and strengthens eye-sight. Worship of Sun Deity (Tejtattva – the absolute Fire element) is an important step in the worship of ‘Panch-tattva’ (5 Absolute Elements). Surya-namaskar : Among the different types of Yogasanas, ‘Surya-namaskar’ is an important kind of exercise. Using the entire body to bow before and offer salutations to the Sun Deity. Surya blesses a person who performs at least 20 ‘Surya-namaskars’ every day. This relates to the subtle tasks of Deity Surya and are not related to the Sun seen with gross the eyes. Although the Sun is performing the task of Sustenance, it has also performed the tasks of Creation and Dissolution to achieve completeness in sadhana. B. 1. A. Gross : Male Deities, ‘Yama and Shani’ and female Deities ‘Tapi and Yami’ were created from Deity Sun as His sons and daughters respectively. River Yamuna was created from Yami and River Tapi was created from Tapi. Planets and ‘Nakshatra-loka’, Shani-loka and Graha-loka are sub-lokas which have been created from Sun. Teja (Fire), Chaitanya filled with ‘Tej’ and 30 % of only the first part of chaitanya has been created fron Sun. Sudarshan-chakra, Suryastra, arrow and weapons related to ‘Tej-tattva’ were created from the gross- Sun. Sun has transmitted His ‘Teja’ to different weapons and Deities; therefore, these weapons look divine and radiant. B. 2. A. Gross : Deity Surya transmits energy and luminosity by rising in the gross form of Sun to different planets and living beings; thus the Sun nurtures them in a way. B. 2. B. Subtle: Along with the gross light and energy, the Sun emanates enormous amounts of Chaitanya (Divine Consciousness) which bestows power to many souls for practising spirituality; the covering on their mind and intellect gets reduced thus increasing their intellectual maturity. B. 3. A. Gross : Water from lakes and rivers vaporizes due to sun’s heat and many times rivers and lakes dry up. Due to severe heat, many plants get burnt; it also adversely affects souls leading to death of a few. B. 3. B. Subtle : Through light and heat of Sun, subtle-Tej of Sun emanates. This subtle-Tej destroys subtle microbes and subtle-souls full of Raja-Tama which reduces Raja-Tama level in atmosphere, increasing ‘Sattvikta’; thus balancing the Trigunas. The sun rising and setting of the Sun is a daily affair. Thus Creation, Sustenance and Dissolution of Sun is going on continuously. C. 1. Regular worship – The Sun is like a sage, immersed in the worship of Deity Narayan. C. 3. Sacrifice – Sun gives His ‘Tej’, energy and chaitanya to souls from all the ‘lokas (subtle region)’ instead of keeping it limited to his own ‘loka’ (This also shows Sun Deity’s ‘Samashti Bhav’). 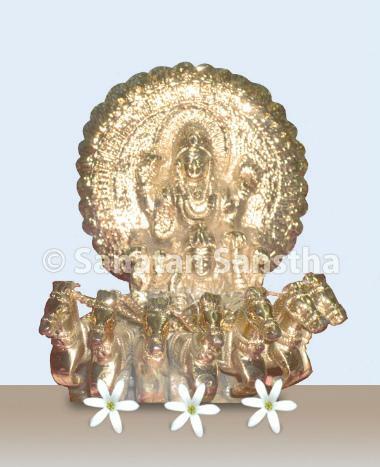 Compared to other lower Deities, the capacity of Sun to absorb and transmit Chaitanya is highest. C. 4. Expansiveness – Sun selflessly transmits ‘Teja’, energy and chaitanya to various souls in Brahmanda / Universe. C. 5. ‘Samashti Bhav’ – Due to His higher ‘samashti bhav’ (thinking about the welfare of all), He has qualities of higher Deities to the extent of 20%. C. 6. Imparting Knowledge and guidance through Subtle – Knowledge (Dnyan) means light. Light is a form of knowledge. Sun also performs tasks related to knowledge; therefore, subtle waves related to knowledge and the light of knowledge are transmitted from Him. He gives knowledge to the extent of 30 % through such waves of knowledge. Karna used to take Darshan of the Sun every day and he used to get guidance from Sun. C. 7. Very good Guru – Sun is proficient in ‘shastra (science)’ as well as in ‘Shastra-kala (weaponry)’. Rudravatar Maruti (Hanuman) had gone to the ‘Surya-loka’ to learn both these arts and Surya as a Guru, guided Him very ably. He gives light of knowledge to others so as to destroy darkness in the form of their gross and subtle ego. C. 8. Very Good father – Sun has always performed His duties as a father towards His sons and daughters. He helps all souls and treats them all as His children. C. 9. Kshatra-bhav (fighting against evil) – Indra is the Chief of all lower Deities. Deity Sun, although under control of Indra, opposes Indra whenever He takes wrong decisions and does not follow wrong orders given by Indra. Among lower Deities, Deity Sun has highest ‘Sattvikta’, Vyaapakatva (expansiveness), sacrifice, Samashti bhav and Kshatra bhav. C. 10. Samabhav (equality shown to all) – Sun treats all souls with equality. He appreciates qualities in others; therefore, He does not do injustice to anyone. An example would be Hanuman, who had the qualities of a disciple was accepted as a disciple by Sun and given knowledge and different forms of art. Surya devta has a chariot as His vehicle. Just as the presence of God in any temple, gives importance to such temple, the chariot of Sun has similar importance; therefore, on the day of ‘Ratha-saptami’, along with worship of the Sun, His chariot, in symbolic form, is also worshipped. The chariot of Deity Sun has capacity to travel through ‘Sapta-lokas (7 subtle –regions) – ‘Surya-loka’, ‘Nakshatra-loka’, ‘Graha-loka’, ‘Bhuva-loka’, ‘Naag-loka’, ‘Swarg-loka’ and ‘Shiva-loka’ which is near Swarga-loka. The pace of the chariot changes as per need. The chariot flies as per the wish of Deity Sun. The wheels (made of gold) have delicately carved images of Surya which transmit ‘Teja’ and ‘Tej-tattva’ to the extent of 30% into the surroundings. With the grace of Shri Vishnu and transmission of ‘Tej-tavva’, a protective shield is created around the chariot which does not allow negative energies to create obstacles in the activities of Surya. E. Qualities of Surya’s charioteer : – Arun is the charioteer of Deity Sun and has 40 % qualities in him. He can see only with his one eye. One can learn qualities like going towards oneness and performing duty irrespective of any condition; from him. F. Surya-loka – Next to Swarga-loka is the subtle ‘Surya-loka’. 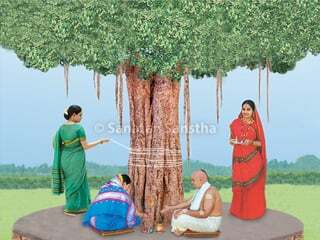 In the subtle Surya-loka, the principle of ‘Teja- tattva’ among the 5 basic elements (Pancha-mahabhootas) is more than 50%. Divine light, fire and flames of fire with feeling of heat is the gross form of ‘Teja’. It is experienced in Surya-loka. The spiritual level of many souls is less than 50%; therefore, they are unable to go to Surya-loka and unable to worship ‘Tej-tattva’. As a result, they cannot bear the gross form of ‘Tej-tavva’ – divine light, fire and heat. For getting a place in Surya-loka, it is necessary to have more than 50% qualities of Deity Sun and spiritual level of a soul should be more than 50%. By worshiping Surya, one gets an opportunity to increase subtle ‘Tej-tattva’. It is therefore, useful to chant, worship ‘Om’ of ‘Tej-tattva’. Chanting of ‘Gayatri-mantra’ and recitation of various Surya-mantras is found beneficial. Worship of Surya increases concentration of mind of a soul. Eyes are associated with ‘Tej-tattva’, worshipping of the Sun results in such soul acquiring divine vision (Divya-drushti). Deity Sun is worshipped by other Deities, Sages- Seers and human beings. 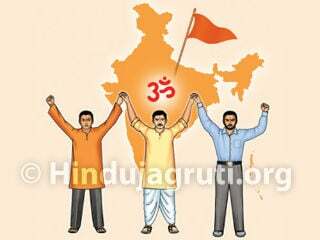 Sun has specific place in Hindu Dharma. Even in Indian almanac, Sun has more importance than moon. ‘Bharat’ is also a name of Sun. ‘S’ is the ‘Beejakshar (a mantra which is consolidated in a single letter)’ of Sun i.e. of ‘Teja’. 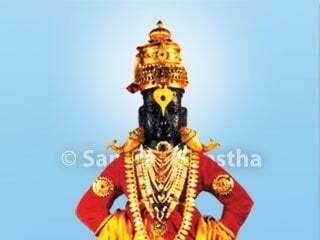 Ratha saptami is the day of worshipping Teja. Information received by H.H. Sou. Anjali Gadgil through God is given below. Why is boiled milk used as ‘prasad’ on the day of Ratha saptami ? Compiler : On the day of Ratha saptami, cow-dung is burnt in courtyard on which ‘sugad’ is kept with milk and it is heated till it boils over. Later, it is used as ‘prasad’ and distributed to all. At some places, even rice is cooked in such milk. What is the science behind this ? 1. 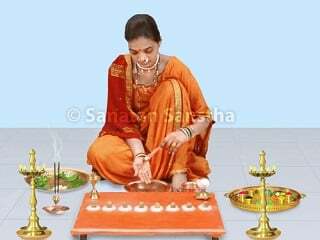 Importance of ‘Ratha saptami’ – Ratha saptami is the day of worshipping Tej – tattva (the Absolute Fire Principle). On this day, waves of Tej-tattva transmitted through Sun-rays reach the earth. As they enter the orbit of Earth, they combine with particles of Water-principle; reducing severity of ‘Tej’ in those rays. These rays with ‘Tej-tattva’ enter the Earth’s atmosphere with the help of waves of the AbsoluteWater –principle. An earthen pot (Sugad) is used for drawing the ‘Tej’ rays entering atmosphere. When milk is heated in this pot, with the help of a sattvik fire of Teja-tattva from burning cow-dung, waves coming out of heated milk with Water and Teja principles, create a transparent sheath around the pot. Sun’s rays charged with Tej-tattva get drawn towards this sheath and such milk when consumed as prasad, purifies the sheath of vital energy of a soul helping to light ‘Panch-pran’ in body of such soul. Thus, energy of ‘Tej-tattva’ is increased in a soul awakening his/her spiritual power. The earthen pot which represents the Earth and sheath created by heating milk with the help of cow-dung, shows similar characteristics to the sheath created around Earth, with waves of principles of ‘Teja and Water’ on the day of Ratha saptami. 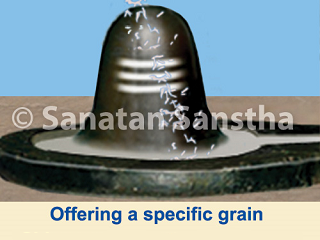 Instead of cooking rice in ‘sugad’, it is more beneficial to use milk which has higher Water-Principle. There is however, no need to heat milk till it spills over.